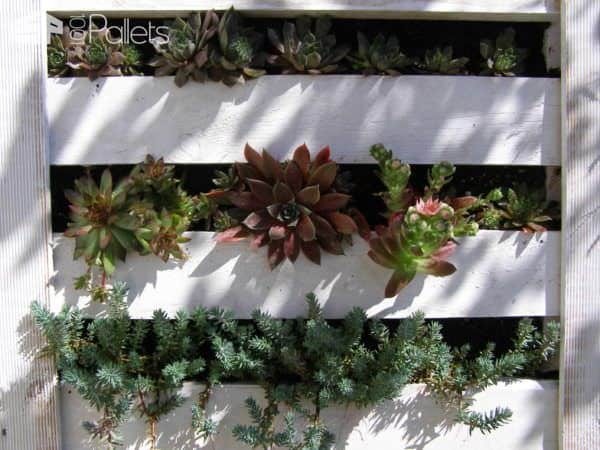 Pallet reused as a vertical garden on my balcony full of such succulents and thyme! 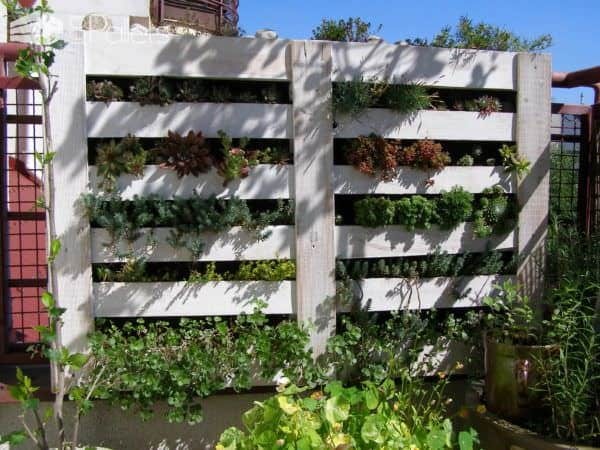 Was looking for directions for what to do to make the vertical garden. Did I miss them somewhere? Hi! I love this idea. I actually made it for my outdoor, summer wedding and they were a beautiful way to hide a rod-iron fence. My way of making them was pretty shoddy and the bottoms of the “shelves’ were rotting out so that moving them was very difficult and plenty of plants were left sitting on the sidewalk instead of the planter. Do you have any ideas to remedy this? 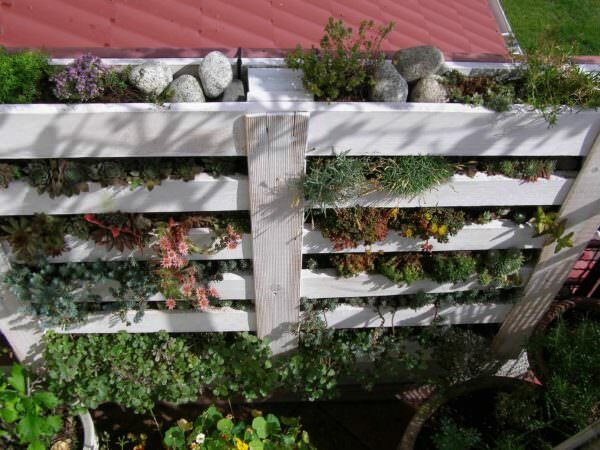 thanks for sharing.Pallet vertical garden | 1001 Pallets gave me much help.